Private belongings and more than 700 patented works of Tesla will be displayed in Turkey. Known as the "master of lightning," the world-renowned inventor, physicist and electro-physicist Nikola Tesla's private belongings and inventions displayed at the Tesla Museum in Belgrade, the capital of Serbia, will be displayed in Turkey. According to the Anadolu Agency (AA), negotiations between the famous Tesla Museum in Belgrade, Serbia, and Turkish company Aristo Strategy Management and Consultancy have had positive results. Thus, works displayed at the Tesla Museum will be brought to Turkey in September 2019 open to visitors throughout the year on 200,000 meters of exhibition spaces to be built in three cities. Businessman Yunus Emre Armağan, who came to an agreement with the museum management and signed a protocol, expressed his excitement about the project, the largest regarding Tesla in Turkey for the first time. Private belongings and more than 700 patented works of Tesla will be displayed in the exhibition spaces, including notebooks belonging to Tesla and newspapers and magazines describing the competition and disputes of Tesla and Thomas Edison. Armağan said that the works include important Tesla inventions such as the portable version of the first hydroelectric power plant established on Niagara Falls, the first tower to distribute the first wireless electricity, a model plane that descends and ascends perpendicularly and induction motors. Armağan said that the museum, to be built in an indoor area of 200,000 square meters, would be in İstanbul, Ankara and İzmir provinces for a year. The works in the museum will be transferred by a special customs clearance system; thus, this will take about six to seven months. As a result, the exhibition can only be ready for next September (2019). Armağan noted that they have set a target of meeting the values of Turkey with the world and the values of the world with Turkey. He added that they intend to produce projects to introduce science to young people and children to open their horizons. "Our biggest chance is to have a president that values Turkish science and young people," said Armağan. 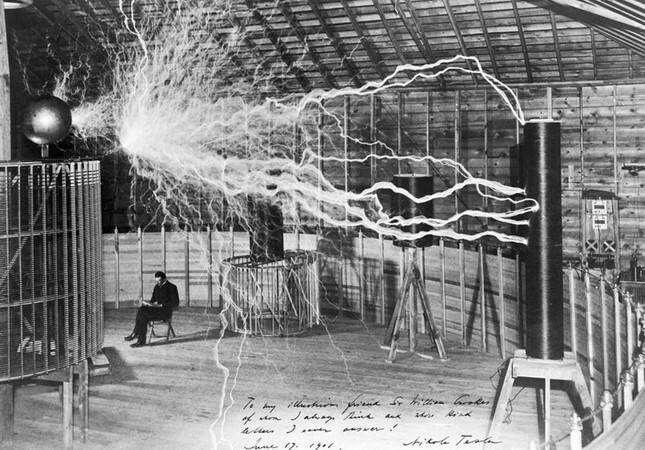 Described as "the master of lightning" and "a genius before his time," Tesla was an inventor far beyond his time added Armağan and indicated the significance of the project: "Tesla made inventions that would radically change the world. Today, there are still unknown or unused Tesla inventions. We are striving to introduce young people and children in Turkey who are interested in science and give them the chance to closely examine Tesla's inventions. We believe the Tesla Museum will inspire and shine a light on Turkish youth." Tesla - who was the inventor and leader of various technological concepts related to electricity, such as wireless communication, the X-ray, remote control, alternative current, the Tesla coil and the induction motor, which have become irreplaceable parts of daily life - is one of the most prominent scientists in history.